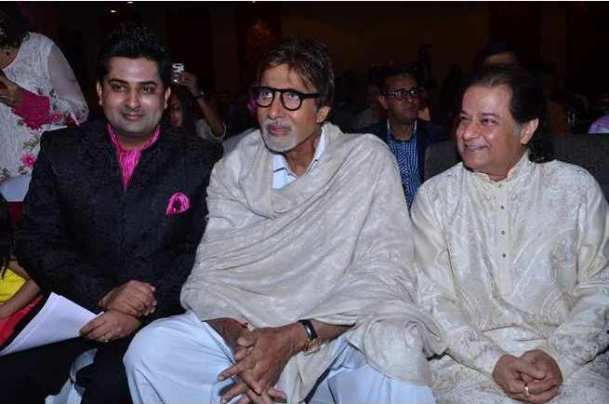 BollywoodGaram.com: Superstar Amitabh Bachchan on November 5, 2013 launched the music album ‘Destiny’ at Hotel Novotel in Mumbai. Songs featured on the album have been sung by singers like Pankaj Udhas, Sumeet Tapoo, Anup Jalota and Talat Aziz. The album is being launched via Saregama India and is said to be the biggest Ghazal record of the 2013. Reports say that Anup Jalota had recorded his songs along with his student Sumeet Tapoo. The album features songs by the country’s eminent singers and is expected to be a major success among the Ghazal lovers in India. As usual, Amitabh mentioned the album launch in his blog.